As a sense of anticipation grows concerning the possibility that the Holy See may soon grant canonical recognition and regular jurisdiction to the Society of St. Pius X, so too does the anxiety of many so-called “traditionalists” (aka Catholics), and not without reason. – In dealing with Rome, Bishop Fellay is dealing with modernists! One does not deal with the Devil! He cannot be trusted! First, it must be said (for the sake of readers unfamiliar with Archbishop Lefebvre’s manner of speaking) that “Rome” in this case does not refer to what the Archbishop often called “Eternal Rome” – meaning, Holy Mother Church against which the gates of Hell will not prevail; the indefectible bulwark of truth protected by the Holy Ghost from all error. “Rome” here refers to the human element in the Church – those who occupy the highest places of ecclesial authority, and who all-too-often abuse it by teaching error while giving the innocent and the naïve among us the impression of speaking in her name. With this in mind, let’s dispatch with generalities. “Rome” is not some nameless, faceless less-than-human organism; rather, it is most clearly manifested in the all-too-human person of Pope Francis. Sure, we can name other names of those who exercise authority, but the buck stops with the pope. It can hardly be denied that Pope Francis is a modernist. We must also admit (as Bishop Fellay has) that a relationship of trust does not exist. This does not mean that no relationship exists; rather, it indicates the need to proceed with caution, to anticipate the real possibility of deception, and the potential for serious conflict moving forward. It can also hardly be denied (though it is duly noted that our sedevacantist friends would disagree) that the Good Lord is allowing the modernist Francis to exercise the authority vested in the Office of Peter. We are Catholics. That means that our reliance upon the pope remains even when he is derelict in his duties. The relationship may lack trust, but it can never truly be severed. That said, we must be clear: Francis, and indeed all of the popes, are but custodians of the treasure entrusted to the Church; they do not own this treasure, but rather are they called to safeguard and to dispense it in justice. This is the nature of our reliance upon the pope. – But how can the SSPX ever submit to such a pope’s authority? Every Catholic, including the SSPX, is already under the authority of the pope and fully so. The Society has never denied this. The granting of canonical recognition and regular jurisdiction is not such that the Society will suddenly find itself under greater authority than it already is, and that includes those who serve in Rome at the pope’s pleasure. They key qualifier is, always has been, and will remain that no one is obligated to obey unjust authority. The pope has never had the power to bind anyone to error, or to require one to deny the true Faith, or to demand that one engage in that which represents a danger to souls, etc. The Society has always operated according to this understanding and can well be expected to do so moving forward, no matter what the future holds. – Rome must convert back to the true Faith before the SSPX negotiates or enters into any agreements with respect to regularization. The flaw in this position is that it mistakenly (even if inadvertently) views Rome (i.e., the present pope) more as the author and master of the treasures of the Church than as a custodian who is called to exercise governance justly. Like it or not, Our Blessed Lord established His Church in such way as to allow those who occupy positions of ecclesial authority, the pope chief among them, to regulate such matters of governance as canonical recognition and regular jurisdiction. These men are obligated to do so justly, but clearly the Lord allows them to err; e.g., the pope may withhold that which justice requires him to dispense. Why He allows this is a mystery, but trust in His providence we must. When this happens and a state of necessity exists, as in the case of the Society, the Lord Himself provides for His people via supplied jurisdiction; in spite of the injustices committed by His churchmen. Herein lies a crucial point: Jurisdiction for the Society, as noted, already exists. Should Rome decree formal jurisdiction, this simply means that reality is rightly being acknowledged. – The SSPX has no need of recognition from modernist Rome. 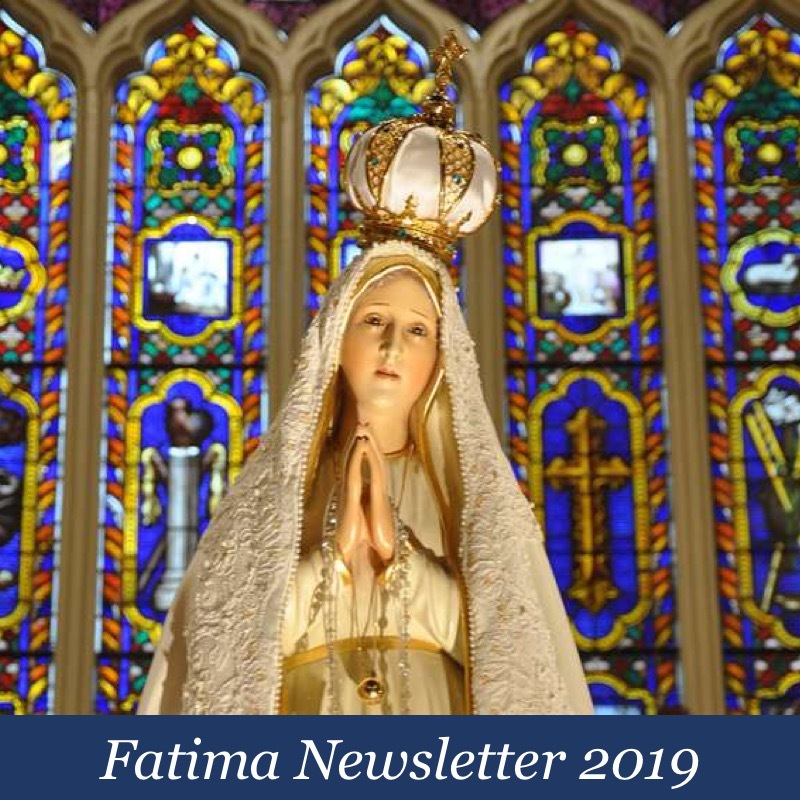 The focus in this case is entirely inward and runs counter to the mission of the Society, and indeed the Church herself; namely, the salvation of souls. Similar to the previous discussion, it is crucial to recognize that canonical recognition and regular jurisdiction do not belong to the pope (or to Rome); nor do they speak of one’s relationship with the pope (or Rome). As noted previously, simply being Catholic defines one’s relationship with the pope. Properly speaking, it can be said that canonical recognition and regular jurisdiction justly dispensed acknowledge in a formal and public way one’s relationship with Eternal Rome. 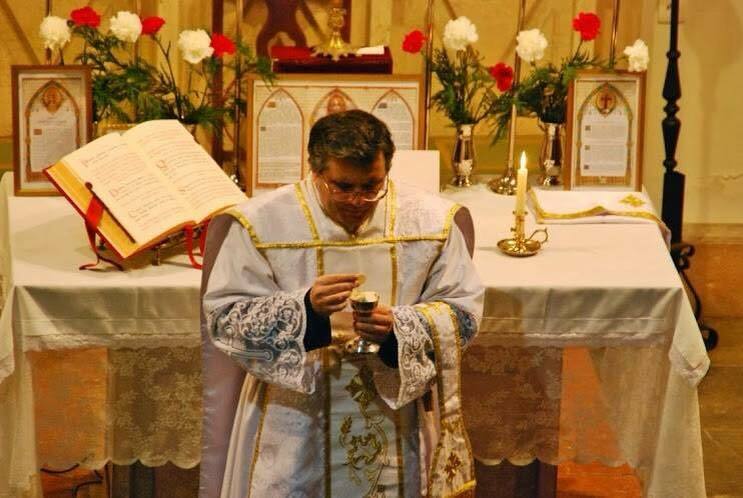 Those who know the SSPX well realize that the Society has always belonged to Eternal Rome! She is fully Catholic, as a matter of justice, therefore, the Society of St. Pius X is due canonical recognition and regular jurisdiction. Indeed, it can be said that this is a matter of justice for the SSPX, but it is even more so an act of justice toward God’s people who deserve to know that the Society of St. Pius X is fully and entirely Catholic. Again, one can hardly claim to love the Church and have genuine concern for the salvation of souls and yet fail to rejoice in this right. – To accept canonical recognition and regular jurisdiction from Rome, such as it is in our day, is to lend credence to their errors. This is exactly backwards. By acknowledging the reality of the Society’s true relationship with Holy Mother Church, Rome will be acknowledging, even if only tacitly, the truths of the faith as so diligently preserved and preached by the Society since its founding. Again, the focus must remain on the good of souls. While it is true that the ultimate good for the salvation of souls is the conversion of Rome, even short of this it is only right that the status of the Society, and by extension the tradition it preserves, be acknowledged and thus made widely known via canonical recognition and regular jurisdiction. – Rome wants to convert the SSPX to their modernism! Yes, and the Devil wants to lead us to Hell. Thank you, Captain Obvious. The truth is there have always been, and there will always be, temptations to abandon the true Faith. Rest assured that the Evil One will see to it that this remains so until the end of time. The Society has always placed its trust in the Lord and Our Lady for the grace of perseverance. This has never failed in the past, and there is no reason to believe that it ever will in the future. I cannot adequately express my gratitude to those of you who have offered financial support to this, our effort. The need still remains to sustain our good work. If you haven’t already and are able, please consider making a one time donation, or a monthly donation of $10, $20, $50 or in any amount you may choose. I promise to use the resources provided to stand firm in defense of tradition in the face of every attack. Thank you most sincerely in advance. Nice post, Louie. I’m in favor of regularization (as long as there is no compromise), and don’t follow arguments to the contrary. “So little by little the will to fight grows weaker and finally one gets used to the situation. In Campos itself, everything positively traditional is being maintained, for sure, so the people see nothing different, except that the more perceptive amongst them notice the priests’ tendency to speak respectfully and more often of recent statements and events coming out of Rome, while yesterday’s warnings and today’s deviations are left out. The great danger here is that in the end one gets used to the situation as it is, and no longer tries to remedy it. For our part we have no intention of launching out until we are certain that Rome means to maintain Tradition. We need signs that they have converted. To sum up, we are bound to say that the Campos priests, despite their claims to the contrary, are slowly being re-molded, following the lead of their new bishop, in the spirit of the Council. That is all Rome wants —for the moment. Very helpful article. I’m skeptical of regularization, but there is a deeper consideration to it, I think. If the Vatican proposes to unilaterally recognize the SSPX without any conditions, I don’t see how the SSPX can reject that recognition without being plainly schismatic. In fact, I wouldn’t be surprised to learn that that is precisely why the Vatican is going this route and that they have pointed out to the SSPX that they cannot reject this proposal without being excommunicated. Agreed. The Vatican will propose a unilateral recognition, and the SSPX will accept it, before the end of the year. He would really let them hear the Faith! I think that’s where the graces are. All of my very large family either stay home from Mass or go to the Novus Ordo Mass. The ones who go to the NO do so because they’re afraid to be disobedient to the Pope. If the Society can be recognized without being gagged or compromising in anyway then it would probably be very good for my family. But if they agree to tone down their public defense of the Faith through preaching and writing and correcting, even a little, then I just don’t expect great graces. Archbishop Lefebvre no doubt helped to save many many souls who never even attended Society Masses because he earned great graces defending the Faith. There will be a time to listen to Rome -when the time is right.Not now !This Heretical Pope is not to be trusted! To be Catholic is to be in communion with the pope, whether he is a heretic or not. To refuse a unilateral recognition from the pope when he is not imposing as a condition that the SSPX adhere to the modernist and conciliar novelties, is to refuse communion with the pope. That is the very definition of schism. If fully support the SSPX and attend Church there. However, it seems to me the SSPX is being invited to a picnic all the while knowing there is arsenic in the potato salad and perhaps a few other dishes as well. It reminds me of the devil tempting Our Blessed Lord, by offering Him all the kingdoms of the world. If the Vatican offers SSPX regularization without condition, it would be very difficult for Bishop Fellay to say “Thanks, but no thanks”. Personally, I don’t trust Rome and doubt that the Vatican, especially with this pope, does not have ulterior and cunning motives. On the other hand, I know many New Order “catholics” who say they would attend SSPX Masses if they were regularized. This would be a good thing. The bottom line, for me, is my distrust of Rome and regularization at this point would make me very uncomfortable. Perhaps, Fellay could offer to teach Bergoglio Catechism 101 before considering accepting such an offer. If Rome ie: Pope Francis wants to unilaterally “recognize” the SSPX then so be it. I don’t think Bishop Fellay or the SSPX can refuse and say we don’t want to be recognized without receiving the stamp of Schism, however; if such a unilateral “reconciliation” happens Bishop Fellay must be appreciative by saying “thank-you” then He must acknowledge that such a recognition was never necessary to begin with since the SSPX always was recognized. Similar to the granted jurisdiction of the SSPX to hear confessions during the year of mercy. Bishop Fellay’s response to that was perfect, thanks but no thanks, meaning-thanks Holy Father for the jurisdiction but the Catholic Church always supplied us with the jurisdiction to hear confessions. In all my 34 years of life I never came across a person who every time he speaks (Pope Francis) he opens the doors for such criticisms of himself. Just a thought–If SSPX is regularized and Newchurch plans a celebration of Luther’s Reformation (revolt) in 2017, and SSPX says “Don’t include us!”, what will be the result. 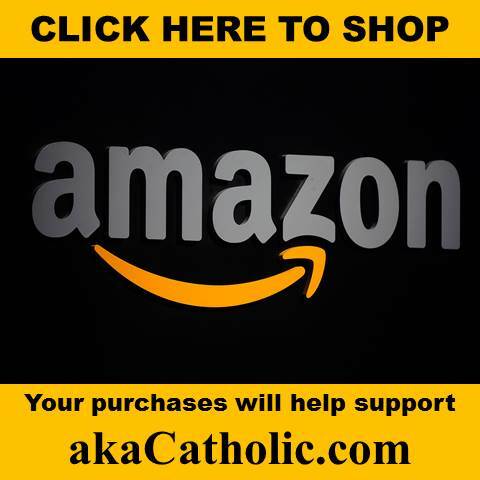 Will the SSPX be excommunicated again??? What is up their sleeve??? And that is how this will play out. The Vatican-SSPX talks will recommence and finalize in October 2016. Just before…Halloween. It is going to be a very interesting time. I’m torn. On the one hand, I favor regularization. On the other, I’m worried that it would mute the SSPX’s critiques of Vatican II and the wasteland it’s created. Would they still, for example, publish devastating books like The Catechism of the Crisis in the Church? You can bet they’ll have to tone down any criticism of the heresies and evils being preached, taught and imposed by the apostates and heretics. Just as the priests of the various institutes under Ecclesia Dei have done for all these years – most of them may have the true faith and sound doctrine, but they dare not say a peep to publicly denounce heresy, no matter how many souls may be in danger. For those who say regularization of the SSPX will be good because it will bring many Novus Ordo folks to SSPX Masses… eh, really?? If so, why don’t these people already go to the traditional Mass at FSSP, ICK or other such institutes? I agree with the idea that this “regularization” will not bring Novus Ordo folks to the SSPX. But I disagree with your thought that the SSPX will have to tone down any criticisms of the heresies and evils being imposed by the hierarchy because FSSP priests regularly preach on these heresies and evils in a very direct way. In fact, I have heard vastly more sermons on these issues from FSSP priests than I have from SSPX priests. I’ve also heard sermons on these points from ICRSS priests. I see this idea of “censorship” of the SSPX as a result of regularization thrown out a lot on the internet, but we know experientially from the “regular” priestly groups that it is simply not a reality. I cannot imagine priests speaking more boldly on these topics than the priests at the FSSP parish near me, and we can all hear similar sermons from other FSSP priests online at the well-known sites that catalog their sermons. I went to an FSSP parish in Dallas for two years. 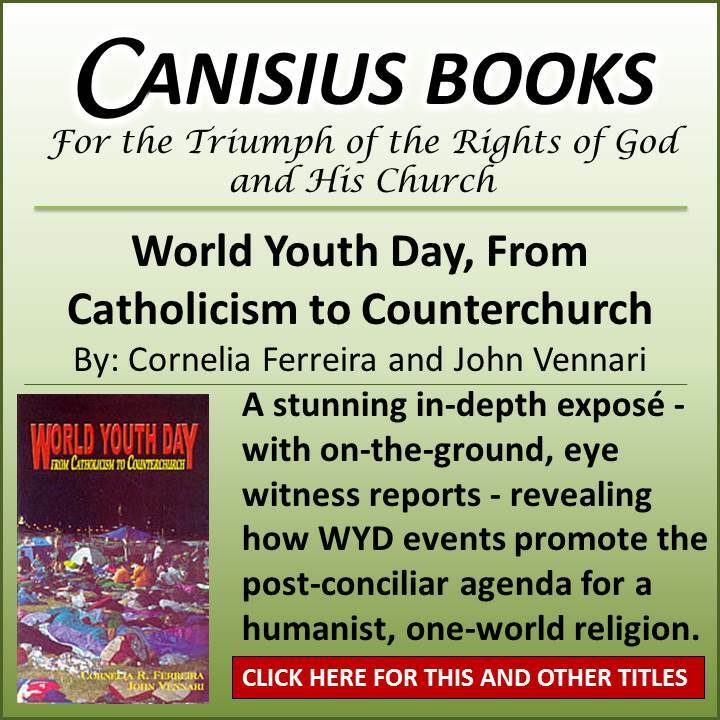 Never was the Conciliar Revolution directly attacked. It was always indirect. For instance, the priests quoted only from the Trent catechism. Or they’d speak against inter -religious “dialogue” without ever directly attacking JP II’s catastrophic Assisi meetings. I suspect it’s now the same there with Pope Francis the Groovy and the endless river of toxic waste spewing from his mouth. Now more than ever, it seems to me, the SSPX needs to tone up rather than tone down its defense of the Faith. Will the SSPX, like noxious cuckservatives such as William F. Buckley and the rest of the Conservatism Inc. establishment, allow a lust for respectability to overcome their resistance to the pull of the abyss? This is my fear. Well, consider yourself very blessed and/or lucky then. Because I assure you this is not at all common with FSSP or ICKSP priests. I’ve been going for years to both SSPX and Ecclesia Dei Masses (traveling all the time I’m pretty familiar with a dozen of chapels/churches in several countries in Europe as well as in North and South America, plus many others I’ve only been to once or twice). Have never heard those priests preach any heresy, but neither do they really denounce or condemn any heresy (whether by the current occupant/usurper of the Seat of Peter or the previous ones). I’m sure there are exceptions, but they certainly wouldn’t seem to be the norm. TC thanks for the posts. Can you provide more information? Are you saying even in SSPX chapels the priests do not speak out against Vatican II or you meant only FSSP and other traditional communities that are not SSPX? I don’t go to a SSPX chapel but I can tell you Vatican II is never mentioned at all in sermons. I spent 6 years with the FSSP and to use a Francisism your comment is solemn nonsense. The FSSP sermons very carefully dance around the core issues of the Vatican II revolution. This is done by omission and the exaggeration of some truths to the exclusion to other truths. The FSSP has public positions and they are faithful to them. Many of us could no longer take it and we left. Archbishop Lefebvre’s address to his priests, 6th September, 1990 on the FSSP. I’m not going to argue with you about my experience since there is no common frame of reference for such an argument since my experience is mine. Suffice it to say, your experience and my experience differ diametrically. At any rate, I am not interested in hearing sermons at Sunday Mass about Vatican II and the crisis in the Church. I am aware of the crisis, so I am more concerned with getting myself and my family to heaven despite that crisis. That’s one reason why I sometimes prefer the local SSPX parish over the local FSSP parish. Those subjects are always discussed in the FSSP sermons, but not at the SSPX. Yes are experiences are very different indeed. Francis could preform a abortion in St. Peters square and not a word would be said by the Pastor in the parish we fled. NOT ONE WORD………..EVER!!! It was absolutely bizarre. The parish was like a museum no connection to reality at all. Yet all the laymen there were obsessed with the polemics of the day. Is frankly scary and shows the danger of the FSSP mentality. Your comment might as well say “I don’t want reality getting in the way of my Sunday. This is the classic FSSP museum mentally. As if you get to choose what kind of sermon you need to hear and that’s that. Good pastors know their sheep. The fact that we are here talking about these matters is proof the problem. The “normalizaion” will happen. Two weeks before Francis and company travel to Sweden to celebrate the 500 year anniversary commemoration with the Lutherans. And as Alphonsusjr quite aptly noted: Once they receive their “opus Dei”-style prelature it is very doubtful they will speak out against the Novus Ordo Mass, against, the putrid homilies coming out of the novus ordo pulpits. they will have to accept the previously twice-condemned “divine mercy” devotions. It’s just common sense. Just want to stop in and says thanks to Louis Verrechio for allowing me to freely comment here. It’s one of my favorite sites to read and learn. ( been banned by Mark Shea, Steven Ray, and Michael Voris for simply asking the “wrong” questions). You are truly a son of the Father. Great site. Francis doesn’t think of the Church as we do guys. Inside or out is petty and meaningless to him. I think we’ll eventually see him try to “regularize” a number of protestant sects (without them converting of course). He’s getting away with too much already…it’s only natural that he goes for the gusto in building the Church of the New World Order. If he thinks he can neutralize the SSPX by regularizing them beforehand, he will. For the Society, if they trade their irregular status for an ecclesiastical muzzle, they’ll be finished. Is Bishop Fellay directing the Society to tone it down? I sure hope not. They need to come out with a strong and clear denunciation of this latest Exortation and deliver it to every Novus Ordo bishop on the planet. They need to speak boldly and clearly against all the insanity afflicting the Church today. If Francis still regularizes them, good. That’d probably be a case of doing the right thing for the wrong reasons, but so what? If he doesn’t, well they still operate either way with supplied jurisdiction due to the crisis in the Church…a crisis that will continue to exist whether or not they become regularized. I agree with everything you said except the last sentence. You see, once they are regularized, Francis or the CDF can start excommunicating key figures in the SSPX very slowly and judiciously. Example, a year down the road, for any reason +Tissier de Mallerias gets the boot. Another two years down the road, +DeGalaretta de the boot. Sure they can. Two years ago they booted a “conservative” opus Dei bishop for covering up an ex-sspx priest of sorts. They have to obey… I pray I’m wrong. Then they need to speak as boldly and clearly now as they ever have in the past and just keep it up. Make it clear to all with eyes to see that it’s modernist Rome that is the thing that keeps changing, not them. What I am beginning to realize is that what drives Francis is the fact that he is a failure. He has been a failure (at least) since he lied to his mother about entering the seminary. He then went on to destroy his SJ province, then the Buenos Aires diocese. He uses all the usual sophist explanations for why he is a failure, but deep down inside he knows that he is a failure none the less. What I think Francis is after is any form of OBJECTIVE success. This is why he pandered to the evangelicals and “brother bishops”. Notice how that has stopped? He was looking for anything that could be considered a success and thought Palmer could bring it to him if he just gave up the doctrine. Now, if it turns out that the SSPX can give him the proverbial feather in his success hat, he will be for it. He has nothing else and is running out of options. And if he runs out of options, his papal line is “one and done”. Remember, Francis is a megalomaniac and thinks that he is “redefining” the Catholic Church. The only way he can attain his goal is to get other FrancisPopes enthroned after he departs. If the regularization of the SSPX leads to a more robust rebirth of Tradition in the wider Church, I wouldn’t be surprised if prelates like Card. Tagle start offerning TLM’s in their private chapels with photos leaking out. I don’t know how this will play out. But there is one thing I know for sure–Francis will not make this offer because he’s a nice guy. The presumption of so many here seems to be that regularization means the Society will no longer talk the trash that needs to be talked. This couldn’t be farther from the truth. The attitude I’ve gotten from the top down is that they will continue to speak the truth, as they always have, regularization or not, and if regularized, will do no different. …..and if this means they end up getting the boot again, so be it! Bishop de Galarreta says there is a risk of what he calls “conditioning our preaching” so even he admits the risk for “toning down”. I attend a tiny SSPX church that is on a farm in a basement. We are in the process of trying to build a new church in town. Our priest has to travel from Colorado. We only get mass every other week. I started attending the SSPX masses in a large city in a big beautiful church. My interest started at a NC that gave a Latin mass where I had attended school. If the whole point of the church since the beginning was to bring souls to heaven why are we feeling anxiety over any of this?? I go to a gross basement church but I am not in the sewers. I am grateful I even have a true mass to attend. It is ludacrice to me that anyone who lives a Catholic life would ever respond with such arrogance and pride to Pope Francis’ olive branch. Even if worse case scenario ensues and this is a ploy to pull a fast one on the SSPX, what really changes for us? So, we have to go back to being ostrisized leppars, what’s new? At least if the pope decides to credit us with legitimacy openly the Catholics who have been too scared to attend our masses will feel comfortable doing so. Maybe, like myself, they hear what we have to say and it brings them closer to heaven. And in those Catholics defense for not coming to the SSPX sooner, they should be hesitant to attend a mass that could be schismatic! Did Jesus not leave the keys to Peter? Does the pope not represent Peter and his most important job as safe guard for the church? Any good Catholic who has been born after Vatican 2 or lived through it SHOULD be hesitant to attend the masses of a church who is so openly defiant with the pope. It is only logical. This is a huge blessing. Whether it causes trouble or not. There has always been trouble. We have always fought the problems that V2 brought into our house. Are we not the church militant? Or is that all just lip service at our masses? Any true Catholc will jump into the fire to save souls. So now, the SSPX needs to jump. If Rome tries to renig on us again, so be it. But at least we had our chance to reach out to others who have been afraid to come into a SSPX church up until now. Even if Rome tries to jerk us around again they will have discredited themselves simply by formally acknowledging us to begin with. “We have all this in mind when we go to Rome to discuss with them. We don’t go there in order to get a cosmetic agreement. We go there to try to have them reflect on what they do and to remind them of their duties. “…the Good Lord is true and He is eternal. Those who put themselves in God’s hand are never disappointed, even if it costs. The Good Lord is worth it, whatever the cost. The Society? It is solid. I see very marginal, but dangerous, attempts to make us believe that it would be so easy to make an agreement with Rome, and that everything will be fine. It’s a delusion, it’s living outside of the reality of the Church. I can’t tell you how many times this year, I have heard seminarians and priests come and say to us: “I’ve tried everything, and I said to myself: anything but the Society of St. Pius X, but there’s only you left.” How many times I have heard that! Priests come to see me and say: “I have come to you because, in the diocese, I can no longer in conscience live my life as a Catholic priest, they won’t allow me to.” That is the reality of the Church. We are not being called to make any sort of agreement with Rome. We are being recognized for what we are. Legitimate catholics. We are already in league with Rome and always have been. Some times they claimed us and some times they pretend they don’t. But on paper we have always been legitimate and in that sense they can no easier disown us than they can the sacraments. What has always been will always be. They chose to officially claim us. Great! “It seems undeniable that the pope wants an agreement. It’s possible he may bypass the Congregation for the Doctrine of the Faith, as it was done with the jurisdiction for confessions. Is this desirable ? Advantages : This would allow us, according to Bishop Fellay, a wider apostolate.. Disadvantages : this would often put us in extricable situations with a real risk of losing unity in the SSPX, as the authorities of the SSPX will inevitably make mistakes, which will further divide us. Conclusion : in the current state of the Church and for Bishop De Galarreta, it is undesirable that an agreement occurs. I guess he forgot that even Pope Paul VI said the end result of dialogue should always be conversion to the Catholic Church; the only way anyone can move “toward the Light” is to join the Church that Jesus began. Thanks for all the posts but does anyone know anything about any traditional order or community that reconciled with Rome before? What happened to them? Have they continued to condemn Vatican II’s heresies? Or SSPX is alone and on uncharted territory? I read where the Redemptorists of Papa Stronsay were so happy that finally they were in “full communion” with Rome. How can they put their faith in such a fake invented conciliar concept like that? “What prospects do you see for the Fraternity of Saint Pius X in the future? An agreement with Rome? A canonical recognition? Allow me to make some distinctions: “Recognition” is not the same thing as terms like “Agreement”, “Rapprochement”, or others like “Full Communion”. I think, Louie, that your arguments above apply well to “recognition” but do not apply to “agreement” etc, Where one would apply them to the latter, I believe that person would be wrong. Recognition is one-sided. In this case, it would be for Rome to say the SSPX is OK, the faithful can attend their Masses etc without problem. It may even come with a personal prelature, or some other vehicle to take care of the paperwork. That would be fine- provided that is what it was, no strings attached. An agreement is a two way thing and this and would be a disaster as it would require the SSPX to compromise their position. 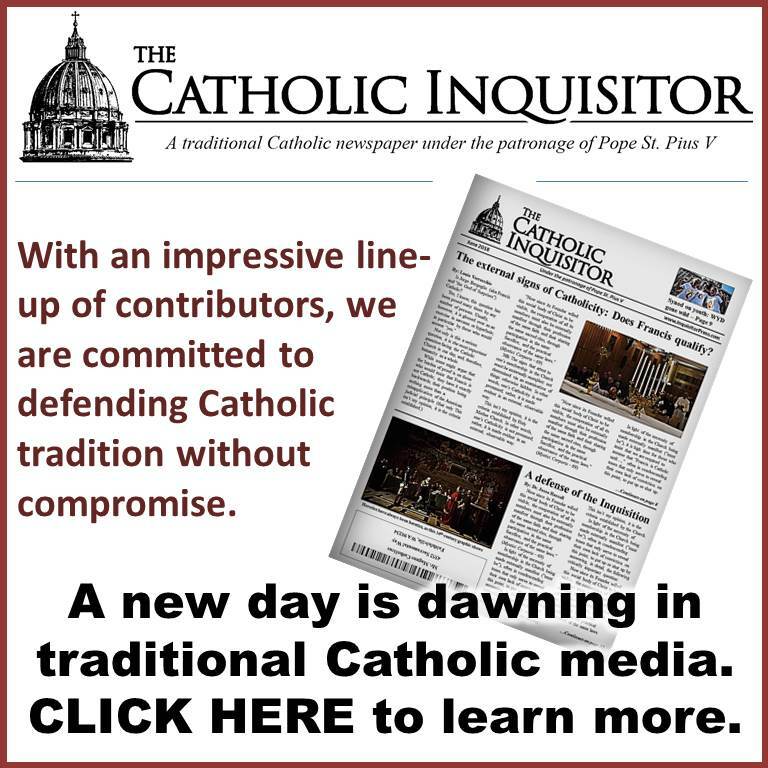 This was the case is 2012 where Bp Fellay was prepared to agree that the New Mass was legitimate (that undermined their justification for refusing the New Mass), where he submitted to Lumen Gentium 25 (which we now know to be a ‘time bomb’, thanks to Monsignor Ocaritz of Opus Dei who explained it for us from a modernist perspective in 2011 ), and a little footnote (damn those footnotes!) which referred to JP2’s requirement for all priests in authority to to swear an oath of obedience to the local bishop… that would be your local SSPX prior! Bishop Fellay was pressured into accepting these compromises, and had it gone ahead… WHAT AN MESS! If it is touted as a simple ‘recognition’ but there are any strings attached then it ceases to be a recognition and becomes an agreement. Formal strings (ie conditions) would make it easily recognisable as an ‘agreement’. But strings could also be implied, or informal, expectations, and that would be very dangerous as it would have the appearance of a simple recognition. In this case, because the SSPX is the inferior party to the agreement, with no higher authority to whom they can appeal, there is a huge risk of them being bullied. 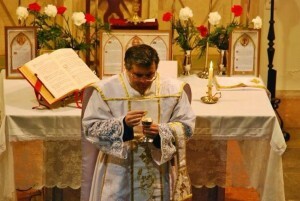 Already an expectation of ‘return for investment’ has been placed on the recognition of the SSPX by both Pope Benedict (See MaryIloverher’s post above) and Pope Francis (‘He also said: “You are Catholics…,” and he continued, saying: “ON THE PATH TO FULL COMMUNION.”’ http://sspx.org/en/joy-mixed-crosses – ie: PF intends for the SSPX to eventually accept V2). So I struggle to accept that what Rome offers would be a simple recognition. How can we be sure that the simple recognition being talked about is not more than that? This is very shocking accusation! Bishop Fellay was going to say the New Mass is also licit and pleasing to God? Do you have any proof that was Bishop Fellay’s position? If that is the case Bishop Williamson and Fr. Joseph Pfeiffer are right. Please can anyone comment or point to a link? Louie can you respond to this accusation? Regretfully, it happened see: http://www.therecusant.com/doctrinalpreamble-15apr2012 (that’s a ‘resistance’ site but the SSPX has not denied the content- Fr Themann’s conference in St Mary’s KS even confirmed it). I attended a conference by Bp Tissier where he labelled it a disgrace, and said it was to the SSPX’s eternal shame. But in Bp Fellay’s defense, he was under huge pressure. I give him benefit of the doubt. But it does reveal his weaknesses and the fact that we need to pray for him very much. Does it mean Bp Williamson was right? I believe Bp Williamson was right to oppose this (and the attitude that lead to it), but in what way continued opposition to the compromise must be maintained, I defer judgement… time will tell. Doesn’t look like they are holding anything back! On an aside, I subscribe entirely to Paul M’s analysis in the comment above. “Agreement” = FFI… most likely. That is all good. But have you heard any official response from Bishop Fellay to Pope Francis besides his sermon? We need to hear clear responses from Bishops to Pope Francis to clearly state their positions are of “resist to his face”.